This beautiful evergreen tree has evergreen, glossy foliage that is light green in color. The new foliage comes in with a tinted red color. Fragrant flowers appear in spring but are considered insignificant. Small black fruit appear in summer or winter. 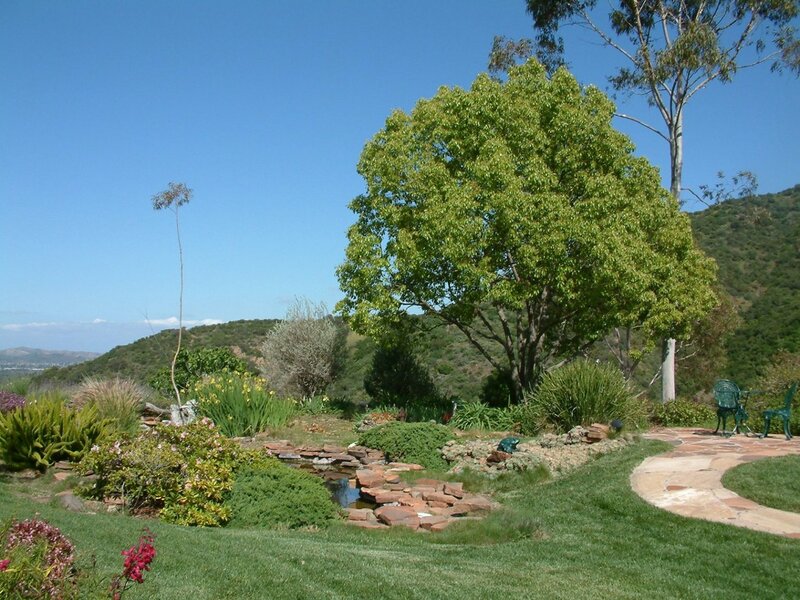 Eventually, this tree becomes quite large in size (50'-60' tall and 60' wide) so plant in an area with ample space. Bark can be dark or light gray or sometimes reddish brown. It is furrowed. This tree does best in full sun with moist, well draining soil. Roots can be destructive. This tree tolerates coastal conditions. An evergreen groundcover, the 'Myers' also makes an excellent hanging basket plant when larger in size. Its formal looking fronds have an even, spiral arrangement of leaflets. It is damaged by severe frosts, and looks best with at least occasional watering. This groundcover-small shrub will reach 3' tall with a 4'-5' spread. It has small, blue-green, evergreen leaves. This dependable conifer is used for bonsai. It prefers full to part sun with occasional watering once it's established. It can also be used for topiaries. Red Rose Penstemon has vivid coral flowers along 4' tall stalks in spring. Leaves are gray green, glaucous, 4"long, and 1.5" wide. Hummingbirds love this plant. It does well in desert areas but needs regular water in summer. This clumping perennial Iris relative stands 3'-4' high and 3' wide. It has light yellow, iris-like flowers with maroon blotches that are about 2" wide. It performs best in full sun in coastal areas and appreciates afternoon shade or complete light shade in warm, inland areas. It does best with regular watering and well draining soil. Flowers only bloom one day but another one will bloom the following day, blooming from spring through fall. Foliage is evergreen, long, thin and sword-like.